Below you can view all the homes for sale in the Warm Springs Quarterhorse subdivision located in Las Vegas Nevada. Listings in Warm Springs Quarterhorse are updated daily from data we receive from the Las Vegas multiple listing service. To learn more about any of these homes or to receive custom notifications when a new property is listed for sale in Warm Springs Quarterhorse, give us a call at 702-323-5933. 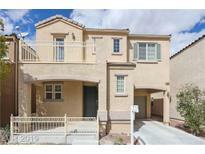 Convenient to schools, shopping, freeways, employment, and entertainment. MLS#2084246. Ameropan Realty and Property. Clean And Ready To Move In. Easy Access To Freeway/Shopping/School. MLS#2083481. City Villa Realty & Management. Great neighborhood w/two community pools, playground & park MLS#2081083. GK Properties. Convenient To Shopping, Gym, Easy 215 Access - The List Goes On! MLS#2080855. SMG Realty. Large backyard with patio. See it today. 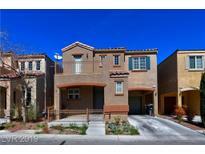 MLS#2080223. Keller Williams Realty Las Vegas. All appliances included. A must see! ! MLS#2079258. First Serve Realty. This Beautiful 2 Story Home Is Located In The Highly Desirable Southwest; Close To Shopping, Dining, Water Park, Freeway And Much More! MLS#2077913. Choice One Properties & Manage. 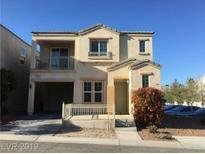 Master suite, walk in closet, separate shower/tub, dual sinks, balcony... Move-In ready to enjoy the great Las Vegas weather! Make this house YOU'R HOME! MLS#2074679. HomeSmart Encore. 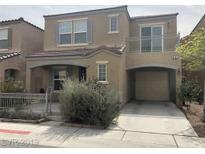 Great 215 access and only minutes to the strip and airport! MLS#2073546. Battle Born Realty. Built in 2003, this Las Vegas two-story corner home offers stainless steel appliances, master suite with balcony and granite vanity, a patio, and a two-car garage. Part of the Independence HOA. MLS#2072461. Opendoor Brokerage LLC. Balcony is perfect for a morning coffee or evening beverage! Low HOA! MLS#2072392. BHHS Nevada Properties. Kitchen W/Custom Cabinets, Solid Countertops, Pantry & Recessed Lighting * Living Room W/Media Niche * Master Bedroom W/Ceiling Fan, Walk-in Closet, Mirrored Closet Slider & Balcony * Staircase W/Glass Cut-outs * 2-tone Paint & Blinds Throughout * Finished Garage * Backyard W/Patio & Low Maintenance Landscaping * Close Proximity To Community Pools & Parks * Must See This Home Today! MLS#2053641. BHHS Nevada Properties. New Flooring, New Paint The Mini Gourmet Kitchen With Granite Counter Tops, New Appliances, New Cover Patio ... And Much More. Must See. MLS#2047416. Centennial Real Estate. Master faces North with balcony. Ceiling fans. MLS#2038603. Best Management Team LLC.